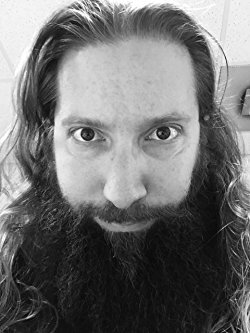 A prolific writer of fantasy, supernatural, and horror, Frank has been writing for years, ever since the age of twelve. Having written numerous short stories and novels, his meanderings in the literary world has finally led him to present his debut novel, Wolfgang, a tale of dark mystery and human struggle. It touches on the capabilities of humanity and how far love will push one's soul, even to the brink of self-destruction. Frank studied at Florida Atlantic University where he received his bachelors degree in English and is currently working on book two of the Wolfgang Chronicles - Inquisition. Click on cover for more info or to order! Sixteen years have passed since the death of Lord Egleaseon, the vampire lord who sought to be human again, defeated by the famous noble lord, Wolfgang. One day after cleansing the surrounding countryside of vampires, Wolfgang returns from his latest expedition only to be faced with the horrible reality that everything he held dear to his heart has been taken from him. His wife is dead, his home is burned, and his son is nowhere to be found. Only the smallest inclination leads him to believe his orphaned servant is somehow responsible. He is desperate and provoked, and will do anything to get his son back, even if it means journeying the path of darkness. Thus begins the story of Wolfgang.